LOS ANGELES (AP) — The power went out for the Los Angeles Dodgers, but not their luck. Justin Turner blooped an RBI double to drive in Matt Kemp from second base on the first pitch after a 20-minute power outage in the 12th inning, giving the Dodgers an odd 5-4 victory over the San Diego Padres on Saturday night. Manny Machado and Max Muncy each hit their 30th home run of the season, and the Dodgers overcame a third consecutive blown save by All-Star closer Kenley Jansen after Clayton Kershaw threw eight strong innings. The power went out in the 12th with Kemp standing at second base and one out. When play resumed, Turner blooped the first pitch from rookie reliever Robert Stock (0-1) into no-man’s land in right field. The ball fell between three defenders. Kemp hadn’t drifted far from second, uncertain whether the ball would be caught. But when it dropped, he rounded third and scored without a play. After the game, the Dodgers released a statement saying the outage was due to “a disruption in the city’s power feed” to the ballpark. For the Padres, it was their fourth straight loss. Dodgers rookie Caleb Ferguson (4-2) earned the win with two innings of scoreless relief. Machado’s three-run homer in the first and Muncy’s solo shot in the seventh had the Dodgers leading 4-3 entering the ninth. San Diego had scored on a solo homer from Franmil Reyes, an RBI single by Freddy Galvis and an unearned run on Eric Hosmer’s groundout. All that came before Austin Hedges connected for his 11th home run of the season against Jansen, who has coughed up the lead three straight times since returning from a stint on the disabled list due to an irregular heartbeat. In blowing three consecutive saves, Jansen has allowed four home runs. It was the second time this season the power went out at Dodger Stadium. This time it came later in the night, and for a few seconds the stadium was completely black. Roberts said he would give the struggling Jansen the day off Sunday in hopes that, coupled with Monday’s off day, it would provide him a mental break. Kershaw said he thinks Jansen is close to returning to form. “We all believe in him,” Kershaw said. “He’s not far off. Dodgers: RHP Ross Stripling (back) threw to hitters and is expected to be activated Tuesday. … OF Joc Pederson was out of the starting lineup with a bruised and strained left knee after fouling off a pitch Friday. He did pinch-hit in the ninth and Roberts said Pederson is scheduled to start Tuesday. … LHP Julio Urias, scheduled to be a Sept. 1 call-up, was reinstated from the 60-day disabled list and optioned to Class A Rancho Cucamonga. To make room for him, RHP Josh Fields (shoulder inflammation) was transferred to the 60-day DL. Padres: LHP Robbie Erlin (2-3, 3.46 ERA) is scheduled to make his fifth consecutive start after spending most of the season as a reliever. He was 1-1 with a 2.05 ERA as a reliever. In his last four starts, he’s gone 3-1 with a 3.43 ERA. Dodgers: LHP Hyun-Jin Ryu (3-1, 2.27) will make his third start since coming off the DL after being sidelined by a groin tear. In 10 innings during his first two starts back, he has allowed three runs on seven hits with 10 strikeouts and a walk. E_M.Machado (11), Renfroe (7). DP_San Diego 1. LOB_San Diego 6, Los Angeles 8. 2B_Margot (23), Ju.Turner (16), C.Taylor (30). 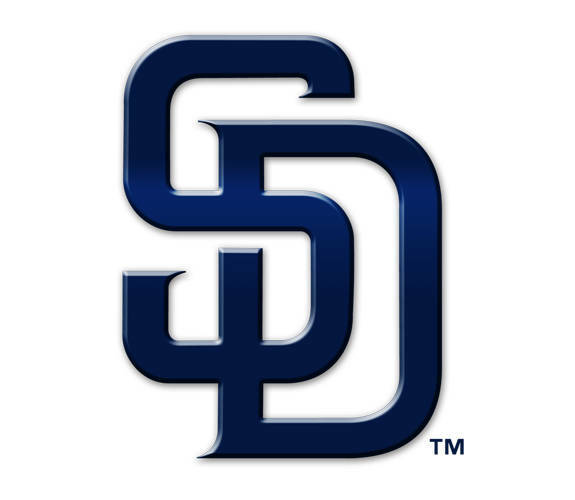 HR_F.Reyes (10), Hedges (11), Muncy (30), M.Machado (30). SB_Puig 2 (13). CS_Jankowski (6), M.Machado (2). S_B.Kennedy (1), K.Hernandez (3). Umpires_Home, Tripp Gibson; First, Laz Diaz; Second, Ryan Additon; Third, Brian Gorman. This entry was tagged Baseball, Craig Stammen, Dodgers, Los Angeles Dodgers, MAC, MLB, North Star, Padres, San Diego Padres, Versailles. Bookmark the permalink.